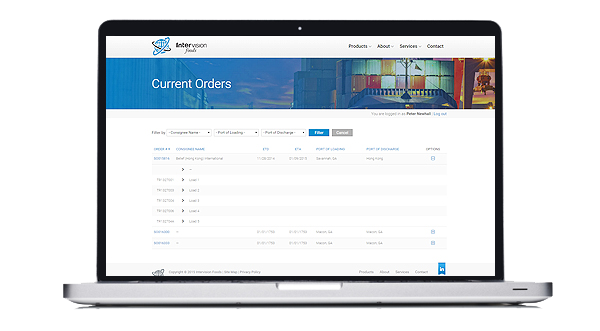 Intervision Foods, exporter of food products to global customers, needed a website that would allow customers to interact with their internal database where order information was stored. Provide a robust login area powered by Microsoft Dynamics NAV ERP system (NAV) that would allow customers to see and track their orders as well as request documents about those orders. This required a two-way integration between the website and Microsoft Dynamics so information could "flow" from one system to another and back again.